Yesterday we gave over two articles to the launch of the the new Virgin Atlantic Reward and Reward+ credit cards. Part 1, which is a factual look at the cards, is here. Part 2, giving my personal opinion, is here. You can apply for the free Reward credit card here and the £160 Reward+ credit card here. You can compare the cards side-by-side here. I need to remind you that the free Virgin Atlantic Reward credit card has a representative APR of 22.9% variable. The Virgin Atlantic Reward+ credit card has a representative APR of 63.9% based on a notional £1200 credit limit and the annual fee. The representative APR on purchases is 22.9%. There were over 400 comments on the articles on the new Virgin Atlantic credit cards yesterday. The general feeling was that the earning rate for day-to-day spending is excellent (which I agree with) but that restricting Upper Class redemptions using the 2-4-1 voucher to Gold members only is a disappointment. A few good questions on the credit cards came up. Because I assume other readers may have been thinking the same way, I thought I would run through them today. I have run this article past Virgin Atlantic and they have had input into the answers, although they can’t comment on the future of the MBNA cards. Yes, you can do this. The old MBNA vouchers worked this way too. No, which is an advantage over the British Airways 241 voucher. This opens up an interesting opportunity for booking very cheap one-way flights from Hong Kong, throwing away the return leg of the voucher, because there are no carrier surcharges added by law. One-way tax on a Virgin Atlantic flight from Hong Kong to London is just £29! It is driven off your total monthly spend. It is not ‘per transaction’ so you are not being ripped off by £2.99 transactions being rounded down to £2. Yes. You can include one supplementary card in the application and add up to another two separately. This isn’t clear, and I suggest will not become clear for at least 18 months as people cancel, leave a gap and then try again. Yes, it is the same policy as the BA Amex 2-4-1. You will get the voucher back to re-use but the expiry date will remain the same. No, unless you have Flying Club Gold status. Although, of course, you can book outbound flights from one account and inbound flights from another account. My personal view is, almost certainly, yes. Barclaycard did this when they closed the old IHG cards, and more importantly MBNA did it with me when they closed my BMI Diamond Club cards. They really have no choice, because MBNA would have known the closing date when they billed your renewal fee so they would clearly be operating dubiously to take your money and not then refund it. Yes they do, at 2.99%. My view is that you should apply first for the one you want to keep for the long term. Virgin Money could change its mind at any stage on letting people have both cards and you don’t want to be stuck with the wrong one. Remember that Virgin Money doesn’t have any previous experience in rewards cards and isn’t used to card churning, people wanting multiple versions of the same card etc. The application pages are here for the free Virgin Atlantic Reward and here for £160 Reward+ credit cards. My two articles from yesterday describing the package of benefits are here and here. 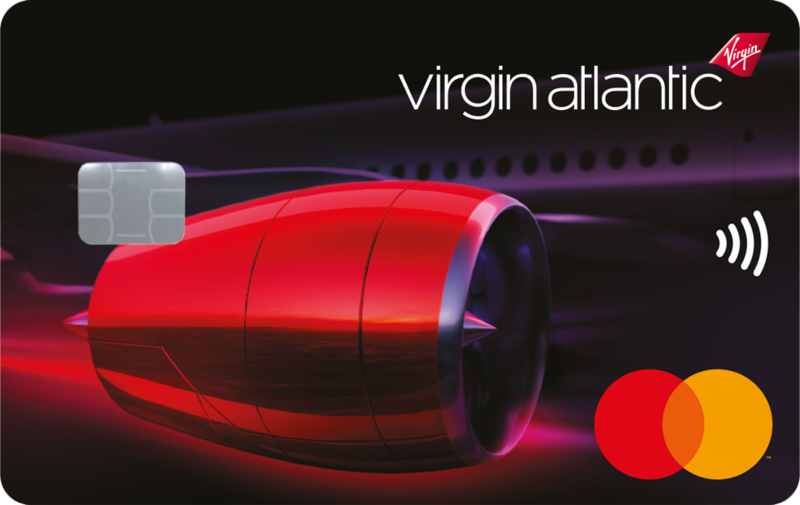 The main marketing website for the Virgin Atlantic credit cards is here. I’ve just moved from the US a tad under a year ago, and am (at least by Ron’s definition) a “high earner”. I had no problem getting a couple UK Amex cards because of my credit history in the States, but is it worth even wasting the time to apply for the VS card given my limited UK credit history? Amex offers global card transfer. Log into your account, and under Benefits there’s an option “Transfer a card to a new country of residence”. They should also let you keep the UK account open too. I’ve recently applied for a BAPP & Hilton Card. My Experian rating has dropped from ther permanent 999 to 977. I’d love to get the IAG card and this Virgin Card too, but worried this will drop by rating further. Does anyone have a strategy on how best to stagger Card applications? I always pay things off in full on time. A bit unrelated (and sorry for the off topic) but I’ve just triggered my amex gold bonus and I was wondering what the best steps are now, I spend around 1200 every month so I was thinking if it wasn’t a better idea to cancel it and rejoin after 6 months to get the 20.000 points bonus again. Any suggestions? Upgrade to Platinum for extra 20k and refer yourself for the BAPP while you have the Platinum. Cancel the Plat as soon as the bonus hits. also get the Platinum companion card (and maybe supplementary) for additional 5,000 MR. Thanks for the help guys! A bit that is unclear to me about upgrading, how much will I get charged by amex? I’m assuming nothing on the gold since it is the first year (free) and only the pro-rata of the Platinum. Is this correct? Can you refer yourself for the BAPP and avoid the 6 months cooldown??? That’s amazing! Amex will bill you the £450 immediately if they are on the ball (they aren’t always) but it is refundable pro-rata later. Wow – Card checker says I will be rejected (although my wife oddly, with a more colourful past although nothing scary) is pre-approved. My Pre-Check says I will be rejected also, despite holding both the MBNA cards already. Before I apply for real – would holding an existing virgin money card be an issue? I have an old dormant card with Virgin Money (£14k credit limit). I do not require it currently or use it, but it is still active. The application form only says you can’t apply if you have applied for a VM card in the last 6 months. Anyway, you are in a good position. If you get refused, call them and ask to split the £14k between the new card and the old card. Hard to argue with that. I was rejected under the pre-check. My income is high, but my Experian rating is ‘Good’ as opposed to “Perfect’, so I guess my VS association may end when the MBNA cards stop. Slightly O/T, I booked a reward flight in UC with Virgin Atlantic. Will I earn miles or tier points? Can my partner use my flying club details to pool her earned miles into my account? No, but the call centre is flexible and if both of you are travelling will take miles from two accounts. This is not an advertised benefit.